Converts the 1/48 Monogram PBY-5 to earlier PBY-2/3/4 variants. 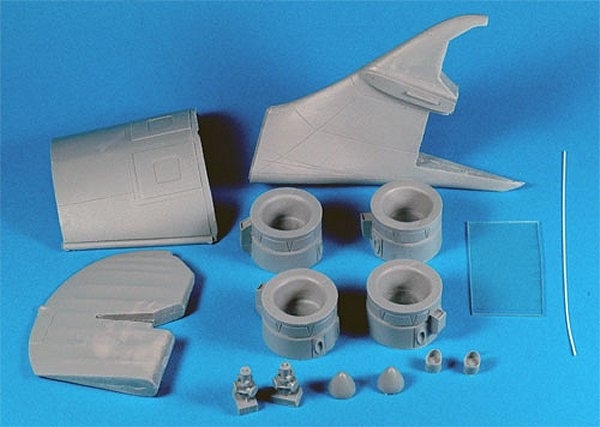 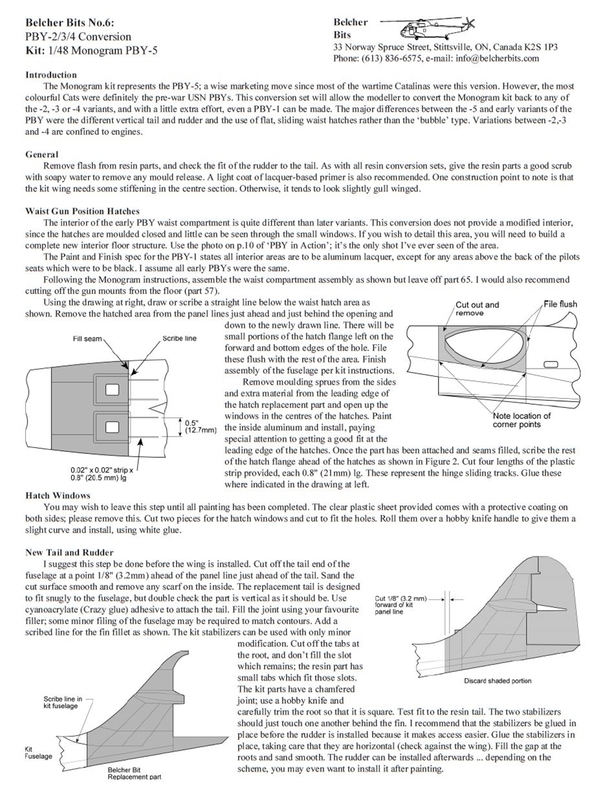 This set includes the early style tail and separate rudder, fuselage insert to replace waist blisters with sliding hatches and two different sets of engine cowlings to allow modelling either the PBY-2 or the -3/4. 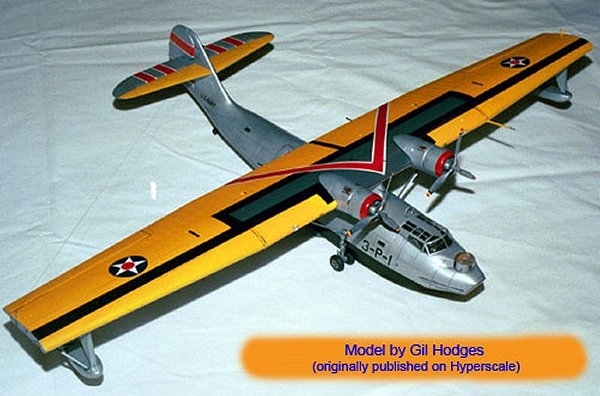 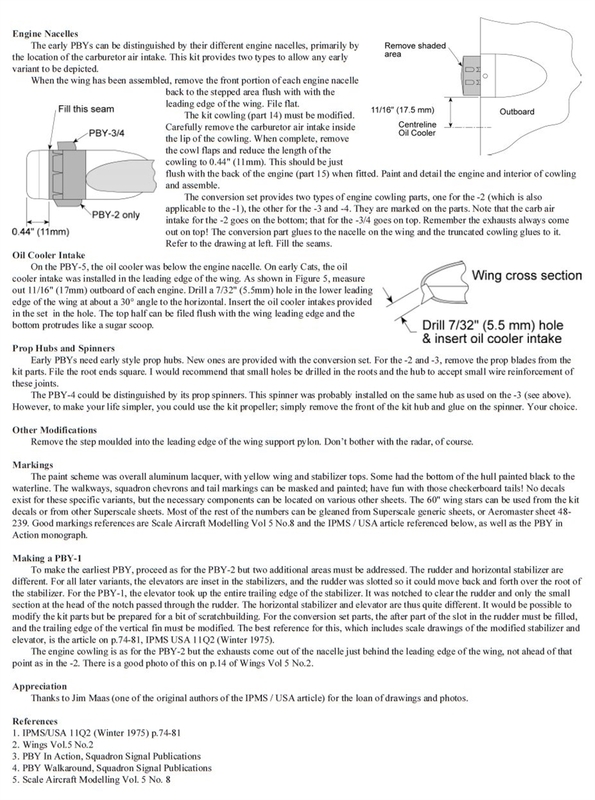 Intended kit is Monogram PBY-5.